If you are going on a vacation and want to forget about the problems with cooking, the doors of Bukovel restaurants are open for you. Large selection of European and local cuisine, wine sand liqueurs, relaxing atmosphere, nice music – this is what we call rest. 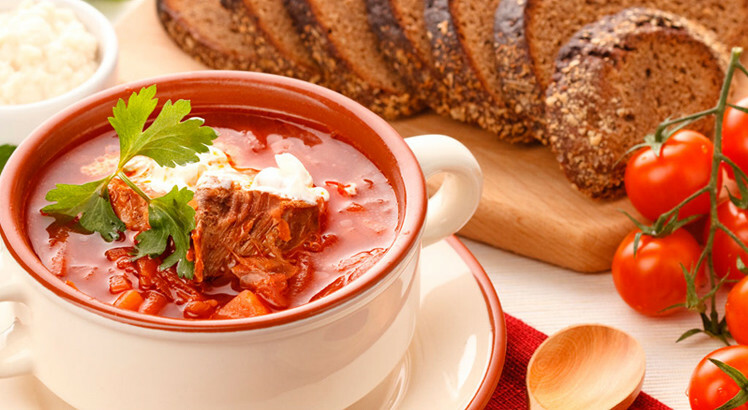 The restaurant serves a delicious beetroot soup, traditional solyanka (a thick, spicy and sour Russian soup) and mushroom soup. How wide here is a choice of hot dishes: vealin a cream sauce, pork steak, stuffed rabbit, duck, and more. Separately want to mention the fish dishes — you’ll be thrilled with the salmon steak or stuffed trout!